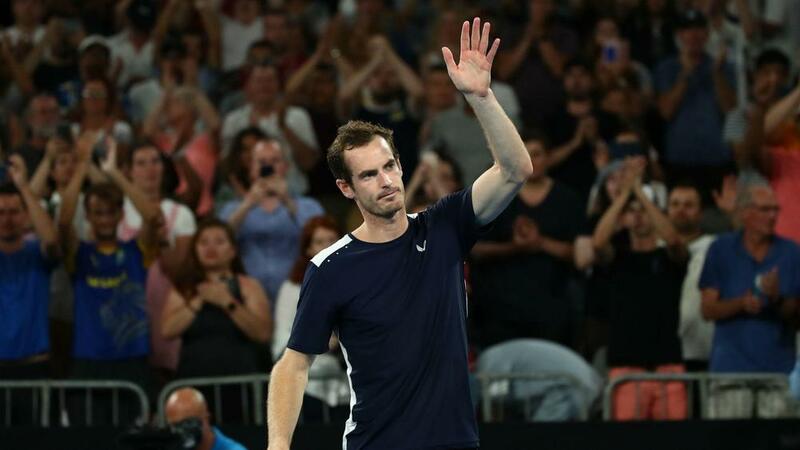 Andy Murray acknowledged his five-set defeat to Roberto Bautista Agut at the Australian Open would be an "amazing way to end" his career, but suggested he has not fully given up hope of featuring at Melbourne Park again. In an emotional news conference ahead of the year's first grand slam, Murray revealed he was set to retire due to the pain caused by a long-standing hip problem and was hopeful, but far from certain, of making it through to a farewell appearance at Wimbledon in July. Murray's trademark grit and tenacity was there for all to see in his first-round contest in Melbourne, as he fought back from two sets down against 22nd seed Bautista Agut before eventually succumbing to a 6-4 6-4 6-7 (5-7) 6-7 (4-7) 6-2 defeat. After receiving huge crowd support in an epic contest, Murray said in an on-court interview: "I've honestly loved playing here over the years - it's an amazing place to play tennis. If this was my last match, like you say, [it's an] amazing way to end. "Thank you so, so much to everyone who came out tonight. I gave literally everything I had. It wasn't enough tonight, so congratulations to Roberto and his team." Murray then prompted further loud cheers from supporters as he added: "I don't know. Maybe I'll see you again. "I'll do everything possible to try. If I want to go again, I'll need to have a big operation, which there's no guarantees I'd be able to come back from anyway, but I'll give it my best shot. And thank you, thanks again." In his news conference on Friday, Murray had suggested further hip surgery was likely, but explained any such operation would be to improve his quality of life after his tennis career has ended. The three-time grand slam champion was shown a montage of tributes from his peers, hailing Murray's efforts on and off the court. "I've been very fortunate in many ways - and unlucky, I guess - to compete in an era with some of the guys that have been around. Roger [Federer], Rafa [Nadal] and Novak [Djokovic] have been incredibly difficult opponents but I have a lot of respect for them," said the former world number one. "We've had some incredible matches, great battles that I think tennis fans all around the world will remember when we all finish. To have the respect of your peers is the most important thing and it was very nice that they took the time to do that for me."